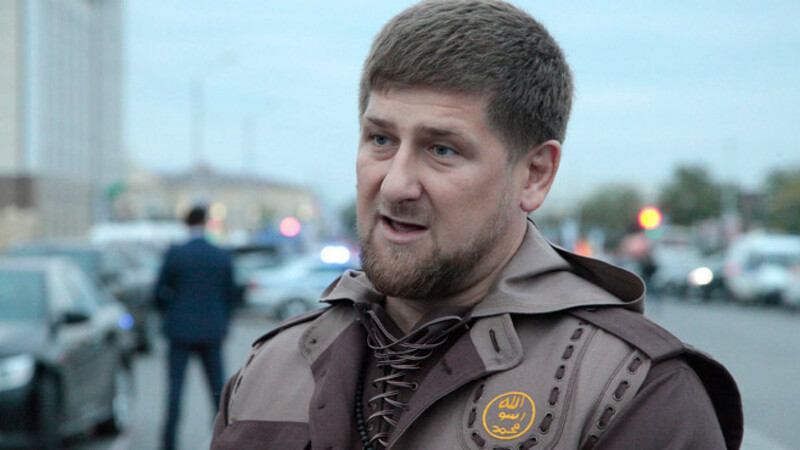 Chechnya's notoriously outspoken leader Ramzan Kadyrov has told his top law enforcement officers they can open fire at officers from other parts of Russia after police from the neighboring Stavropol region killed a wanted man in Chechnya on Sunday. "I would like to officially state: Open fire if someone from Moscow or Stavropol — it doesn't matter where from — appears on your turf without your knowledge," he said during a meeting on security issues, a video of which was published online Wednesday. "We have to be reckoned with. … If you are masters of your territory, then you must control it," he said. The comments signal a growing rift between Kadyrov, who regularly says he is ready to give up his life for President Vladimir Putin, and law enforcement officers around Russia, who are widely reported to be concerned that he has effectively created his own fiefdom in Chechnya and is out of control. Kremlin spokesman Dmitry Peskov told the Interfax news agency Thursday that he had not heard about Kadyrov's statement, but promised to familiarize himself with it. "Then we will have something to talk about," Peskov said. Stavropol region governor Vladimir Vladimirov told Interfax that Kadyrov's words had been misinterpreted, without elaborating. Kadyrov said Thursday, amid close attention to his earlier words, that he was ready to leave his post. "I am an infantryman of the supreme commander-in-chief. If I am given an order, I will fulfill it 100 percent. If I have to leave then I will do so, and I am also ready to die. Therefore it is ridiculous to counterpose Kadyrov and the president. He is our supreme commander in chief," he was cited as saying by RIA Novosti. Dzhambulat Dadayev, a wanted man who Kommersant newspaper said was suspected of intentional grievous bodily harm, was shot dead Sunday during a special operation carried out by federal forces stationed in Chechnya together with policemen from the nearby Stavropol region. According to Chechnya's human rights ombudsman Nurdi Nukhazhiyev, Dadayev was shot while approaching policemen with his hands in the air. Law enforcement officers then prevented medical personnel from attempting to save him, Nukhazhiyev said in a statement quoted by Interfax. Interfax reported Sunday that Dadayev was killed while trying to ram a police car with another vehicle. On Monday, Kadyrov said he had ordered a thorough investigation into the incident. He said that the operation took place at the same time as a football match in Grozny at which hundreds of visitors from other Russian regions were present, and that local law enforcement agencies had not been notified of it. The local branch of the Investigative Committee is looking into whether those responsible exceeded their authority, Kommersant reported. Kadyrov's authority has come into the spotlight following the murder of opposition leader Boris Nemtsov in central Moscow in February. Zaur Dadayev, the key suspect in the case, had served as deputy head of Chechnya's infamous Sever police battalion. Following the suspect's arrest in neighboring Ingushetia, Kadyrov called Dadayev a "true Russian patriot" in his Instagram account. Russian news outlets have reported that Dadayev came to Moscow before Nemtsov's murder with Ruslan Geremeyev, another deputy head of the Sever battalion, who is related to Suleiman Geremeyev, a member of the Federation Council, the upper chamber of the Russian parliament. Despite the high-profile nature of the case, investigators have reportedly been unable to question Ruslan Geremeyev because he is hiding in Chechnya, guarded by Kadyrov's troops. On Monday, the Rosbalt news agency reported that Geremeyev had fled to Abu Dhabi, citing sources in law enforcement agencies. Lawyers for Nemtsov's children have asked the Investigative Committee to question Kadyrov, both Geremeyevs, Adam Delimkhanov — a Chechen lawmaker in the State Duma, the lower chamber of the parliament — and other top Chechen officials in connection with the case. "The investigation is working, and that is very good, but on Chechen territory its actions are hampered. For instance, investigators cannot locate Geremeyev," Vadim Prokhorov, the family's lawyer, told Interfax.